Donauwörth, 29 June 2018 – The Hungarian Ministry of Defence has ordered 20 H145M military helicopters equipped with the innovative HForce weapon management in the frame of the military modernisation programme Zrinyi 2026. Together with the helicopters, Airbus will provide an extensive training and support package. “We are honoured to be of service – once more – to the Hungarian Ministry of Defence whom we today welcome as a new customer for our H145M helicopters. With this new order, we are fostering our excellent and trustful relationship with the Hungarian Armed Forces after their acquisition of two A319 military troop transporters last year. Team Airbus is grateful for the continued trust and confidence that the Hungarian government has placed in our products”, said Tom Enders, Chief Executive Officer of Airbus. With a maximum take-off weight of 3.7 tonnes, the H145M can be used for a wide range of tasks, including troop transport, utility, surveillance, air rescue, armed reconnaissance and medical evacuation. The Hungarian fleet will be equipped with a fast roping system, high-performance camera, fire support equipment, ballistic protection as well as an electronic countermeasures system to support the most demanding operational requirements. 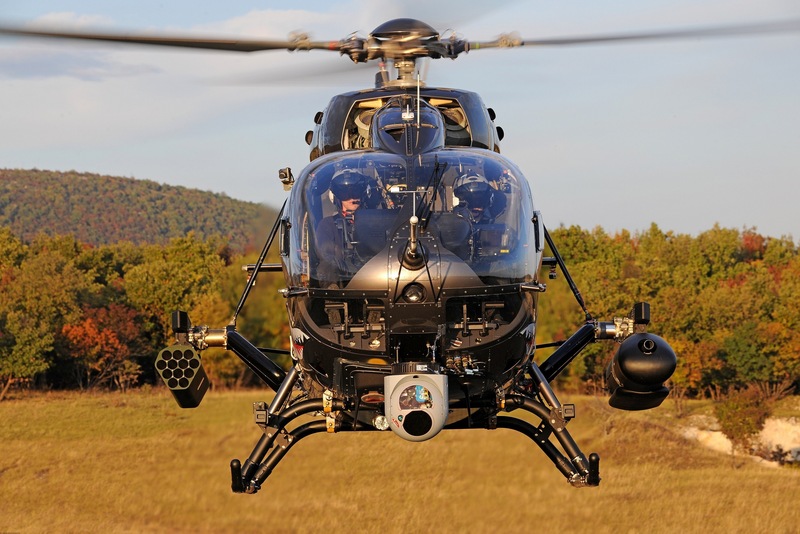 The HForce system, developed by Airbus Helicopters, will allow Hungary to equip and operate their aircraft with a large set of ballistic or guided air-to-ground and air-to-air weapons. The H145M is a tried-and-tested light twin-engine helicopter that was first delivered in 2015 to the German Armed Forces and has since been ordered by Thailand and the Republic of Serbia. The programme’s maturity allows Airbus Helicopters to execute orders on cost and on schedule. Mission readiness of the H145Ms already in service is above 95 percent. Powered by two Safran Arriel 2E engines, the H145M is equipped with full authority digital engine control (FADEC) and the Helionix digital avionics suite. It includes a high-performance 4-axis autopilot, increasing safety and reducing pilot workload. Its particularly low acoustic footprint makes the H145M the quietest helicopter in its class. Evidence-based medicine – Is cricoid pressure in ER rapid sequence intubation really efficient?